What is this book? It could be: “A discipline; a long-term method of mastering the guitar”, However: ‘a discipline’ implies something ritualistic; uncreative ‘long-term’ implies that nothing can be accomplished in the short-term. For something to inspire it needs to give some degree of consistent gratification from the start ‘method’ implies a closed system: dead, sterile ‘mastering’ implies finality. There is no end to the development of a musician with an active imagination ‘the guitar’ glorifies an object. The instrument itself is of passing importance. What we do with it is the thing of meaning music is a thing of meaning. 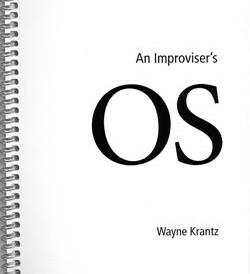 This book is an improviser’s Operating System. Its basic premise is that pattern playing can ultimately limit the growth of one’s skills as a creative improviser. Since most of us rely heavily on patterns to find notes, alternative means of finding notes must be used to overcome our pattern dependency…….WK.